The Moto G series may steal all the kudos when it comes to Motorola’s budget lineup, but there’s a handset that arguably offers even better value for the money than the new Moto G6 — the also-new Moto E5. Motorola has finally take the wraps off of the new E-series, including the Moto E5 Plus and Moto E5 Play, and the standard Moto E5. The new phones offer decent specs and performance at an exceptionally low price. Here’s everything you need to know about the new Moto E5, Moto E5 Plus, and Moto E5 Play. The Moto E5 is coming to the U.S. Both the Moto E5 Play and Moto E5 Plus have been available in the U.S. for some time, but now the standard Moto E5 will be joining those devices. It is now available from Best Buy, and will also be offered by Target starting on October 14 and Walmart on October 15. It costs $100. The Moto E5 Play and Moto E5 Plus aren’t available unlocked, but can be purchased through a variety of carriers — all of which charge different prices. It’s also important to note that on the Moto E5 Play, whether or not the fingerprint sensor is included depends on the carrier. The most recent carrier to offer the E5 Plus and E5 Play is T-Mobile — a gray E5 Play and blue E5 Plus. The E5 Play will cost you $150 or you can opt to finance it for $6 down and $6 per month for 24 months, but it doesn’t come with a fingerprint sensor. As for the Moto E5 Plus, you can purchase it in full for $225 or put $9 down and pay $9 per month for 24 months. You can also find the Moto E5 Plus at Boost Mobile and Cricket Wireless. On Boost Mobile, it will cost you $150, while on Cricket, it costs $180. It will cost you $288 on Sprint. If you want to pick up the Moto E5 Play, you can find it at on a number of prepaid carriers in the U.S., including Verizon Wireless, Boost Mobile, Cricket Wireless, and Virgin Mobile. At Verizon, you you can pick up the E5 Play for just $70. Under Cricket Wireless, it’s known as the Moto E5 Cruise and will only cost you $40 — if you sign up for a new line or upgrade your existing device. As for Boost Mobile, the E5 Play goes for $80. It’s also pricier on Xfinity Mobile at $120. At Best Buy, it ranges from $95 to $130 depending on the carrier it’s locked in with. Not in the U.S.? You can check out the Moto website to find details for your country. The Moto E5 Plus and Moto E5 Play feature slightly different designs. While the E5 Plus looks similar to the new Moto G6, with its 18:9 aspect ratio, the E5 Play features a slightly older-looking design — which one might expect from such an inexpensive phone. The standard Moto E5’s design is similar to the Moto E5 Plus, but is a little smaller. 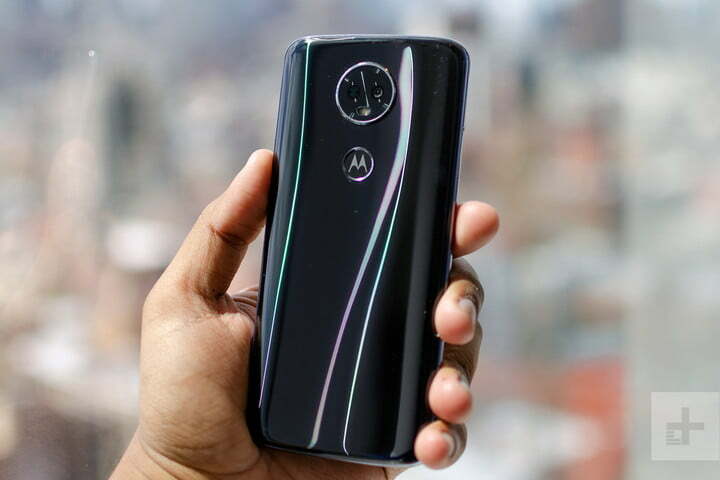 All of the phones feature the recently adopted and now standard Motorola camera bump on the back, and they both also offer a rear-mounted fingerprint sensor embedded in the Motorola logo. The display on the Moto E5 Plus comes in at 6 inches with a resolution of 1440 x 720, while the E5 Play’s display comes in at 5.2 inches with a 720p resolution. The standard Moto E5’s display is 5.7 inches with a 720p resolution. Another thing that users of the Moto E5 Play might like is the fact that it has a removable back and battery. 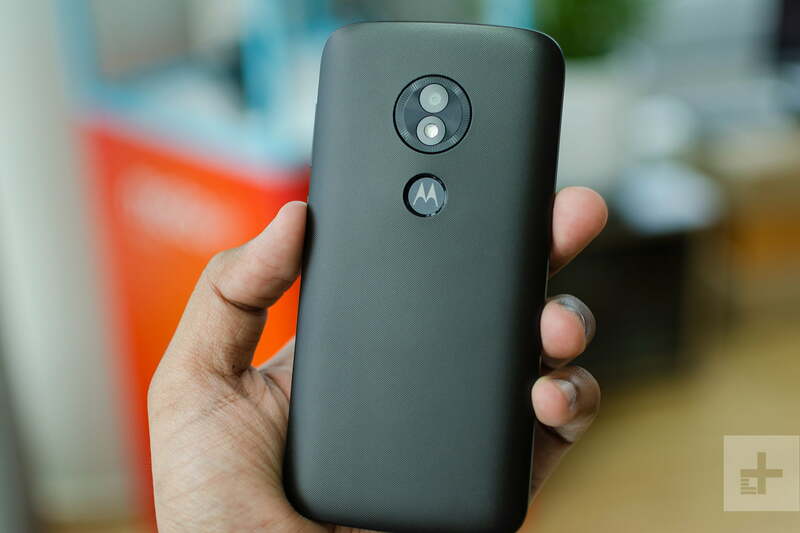 It’s the only new Moto phone that can do that, which means you can carry extra batteries to use if you need them. While different, they’re definitely not bad-looking phones. They both come in a range of different colors, too, which is a nice touch. Under the hood, the phones are decidedly budget-focused — but that doesn’t mean that they’re no good. The standard Moto E5 comes with the Qualcomm Snapdragon 825 processor, along with 2GB of RAM and 16GB of storage — though thankfully there’s a MicroSD card slot for those that want to expand upon that storage. The battery capacity on the phone sits in at 4,000mAh, while the rear-facing camera has a resolution of 13 megapixels. The Moto E5 Plus features a Qualcomm Snapdragon 435 processor, coupled with 3GB of RAM and 32GB of storage — though if you want to expand upon that storage, you can do so via the MicroSD card slot. It also has an absolutely massive 5,000mAh battery, which is pretty huge. The device also offers a 12-megapixel rear-facing camera with an aperture of f/2.0, along with an 8-megapixel front-facing camera. The Moto E5 Play features either a Snapdragon 425 or 427 processor, coupled with 2GB of RAM and 16GB of storage. Like the E5 Plus, the E5 Play features a MicroSD card slot, so you can expand on that storage by up to 128GB if you choose. Unlike the E5 Plus, the E5 Play’s battery isn’t huge — but it’s not tiny either. The 2,800mAh battery should get you through a day of use pretty easily. The E5 Play also offers a slightly lower-resolution camera. The rear-facing camera comes in at 8 megapixels, while the front-facing camera is 5 megapixels. The software is set to be one of the major frustration points for this phone. Why? It won’t be updated. While the device does ship with Android 8.0 Oreo, Motorola says that it will not be updating any of the Moto E5 phones with any new versions of Android, so if you’re looking forward to Android P, then this may not be the phone for you. Updated on October 8, 2018: The standard Moto E5 is coming to the U.S.